This is probably the most famous panel. The version here is large enough to really see the structure of the work. 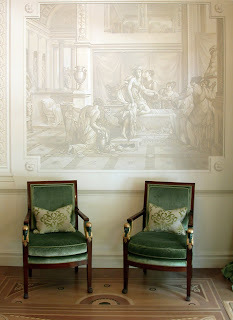 As soon as I have the time I'm going to publish a whole set of French woodblock wallpaper panels on this blog. They really are spectacular; some single panels utilizing literally thousands of blocks of wood to assemble the image. 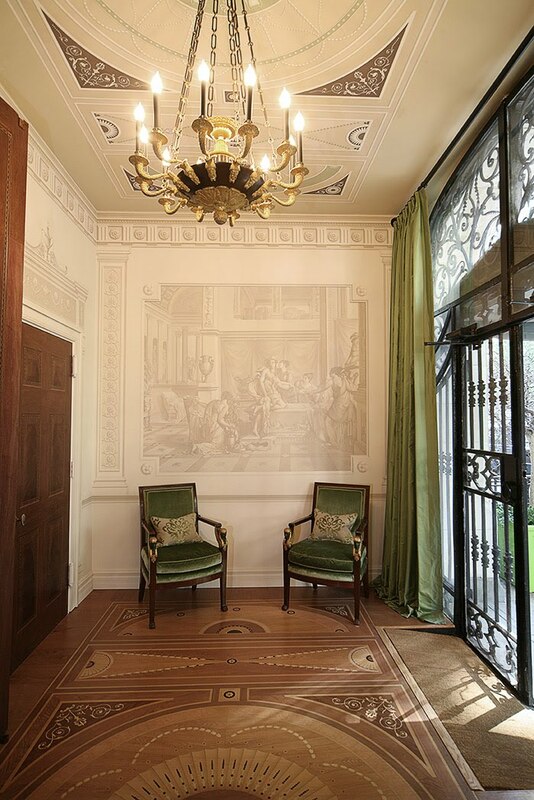 If Cupid and Psyche are your thing, this is where you need to look. Woodblock printing has always fascinated me. I've never tried it as a technique (probably because I'm way too lazy), but I did paint a mural of this panel for the Kips Bay Showhouse in New York City, which definitely gave me an appreciation of both Lafitte and Mader. 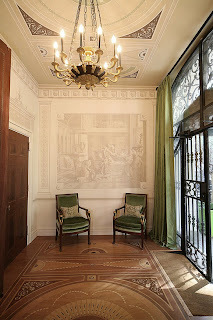 Here is the mural that I hand-painted on canvas and then installed in the foyer. Probably a mistake in retrospect. If I do Kips Bay again, I'll do an original piece. However, I always learn a lot by copying the work of the masters! 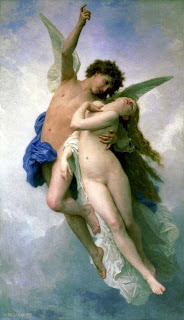 I can't resist posting Bouguerau's version of the Cupid and Psyche myth. I love this panel- I just set up a link to it on my blog under my newest post of Things I Need NOW. 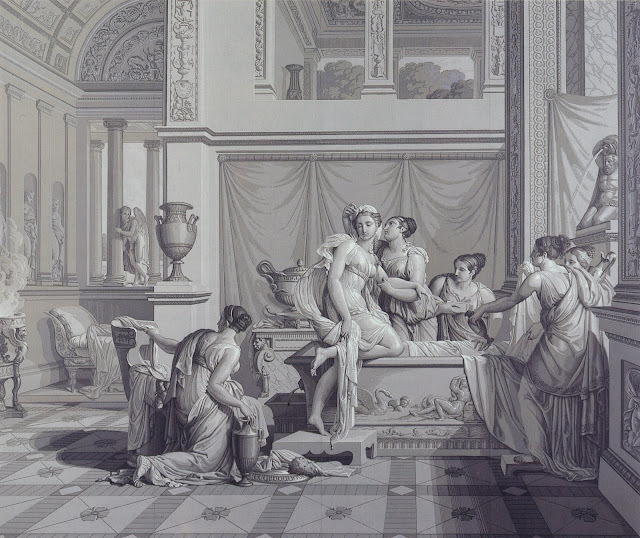 Carolle Thibaut-Pomerantz had a scenic grisaille panel in her booth at the Winter Antiques Show that I loved as well.